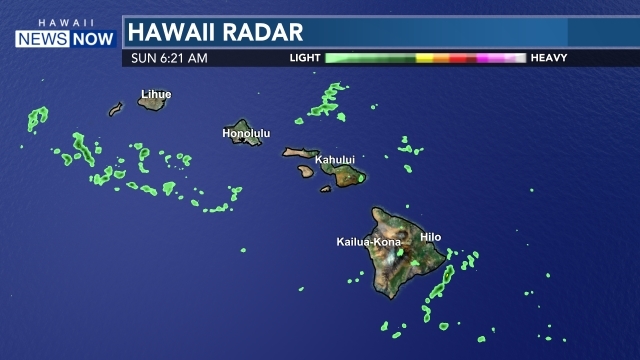 HONOLULU (HawaiiNewsNow) - The high pressure fan northeast of the islands will move east-northeast in the next couple of days, with trade winds decreasing across the area. 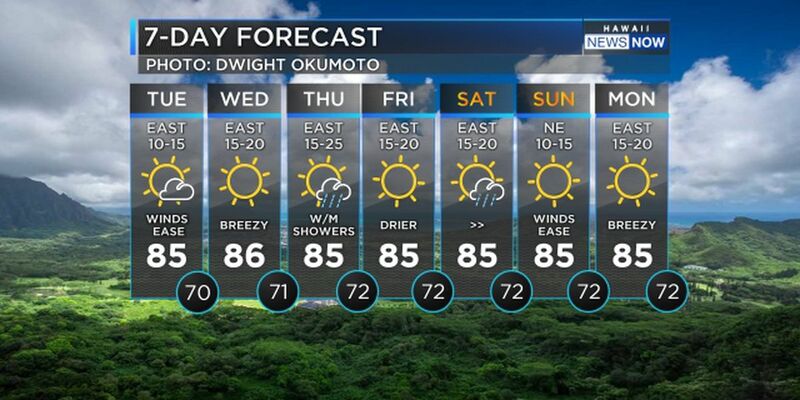 A new high will build northeast of the area during the second half of the week, with breezy trade winds returning. A trough aloft may move over the area Wednesday and Thursday, allowing the trade wind showers to be enhanced. The current long-period, northwest swell will peak tonight, and gradually decrease through midweek. 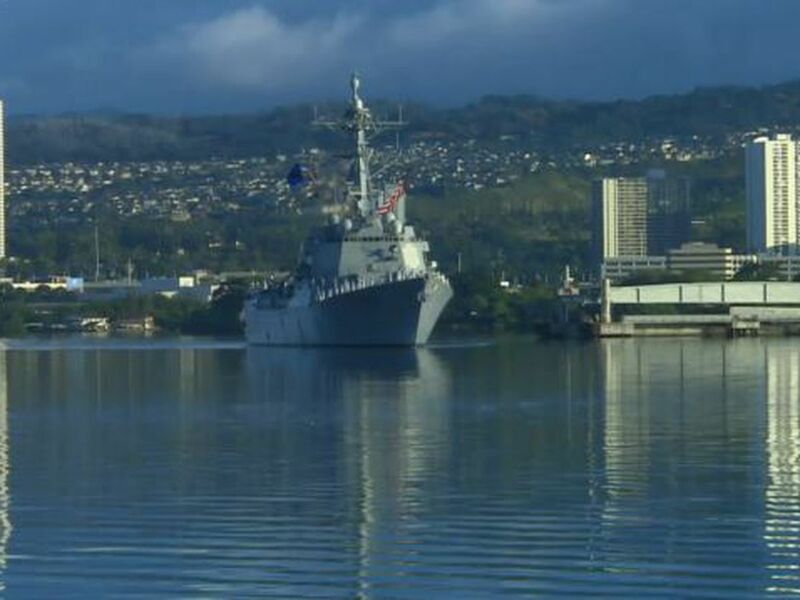 A new reinforcing northwest swell will fill in Thursday night and peak on Friday. Surf with these events will remain below advisory level. There will also be a series of small, mainly background south swells through this week. 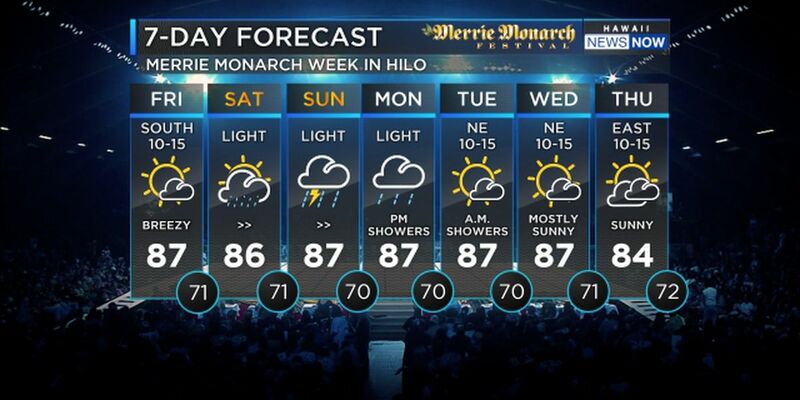 Guy Hagi anchors the weather for Hawaii News Now every weekday evening.